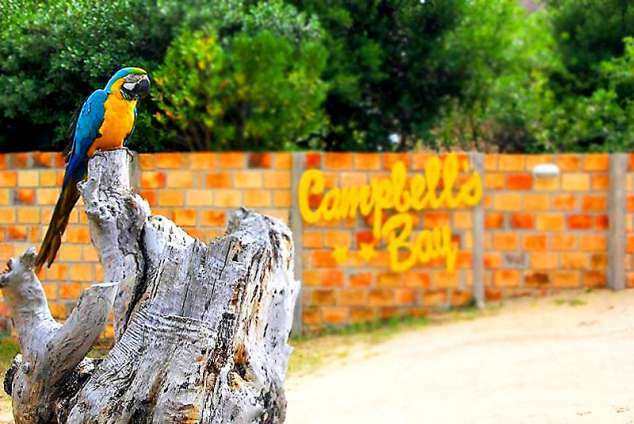 Campbell's Bay - Barra Accommodation. They fell in love with the country and it's culture so much, that they decided to share it with others. The perfect spot was located in Praia da Barra, 27Kms from Inhambane and they built five beautiful thatched roof houses right on the beach, so you only have a 70 metre walk to the sea from your doorstep. Remember once you have stayed with us, you will always want to come back to our wonderful haven of peace and tranquility whenever you are ready to. 8295 page views since 29 Jun, 2012. Last updated on 31 Jul, 2018.